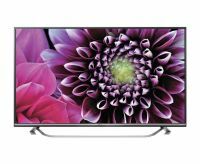 Additional Features:Display: The colors are more vibrant and images are sharper for real life viewing pleasure with a resolution that is six times greater than the standard definition TV and images are constructed by 2 mega pixel in full HD which gives you enhanced details. Abaj's TVs have A+ grade panel and come with a sleek and smart look. The product is 100% imported from Thailand., Audio: This smart TV comes with a 5 band equalizer, a RF Tuner and a built in sub-woofer for a great sound experience, Installation & Warranty Support: Installation services will be provided free of cost. 1 year warranty will be provided by the manufacturer plus 2 year warranty will be provided on the panel from the date of purchase. For support, please contact us at our Toll Free Number - +1 800 1030058., HDMI CEC: It allows you to add devices to your TV and control them with your TV remote control., Digital Living Network Alliance: DLNA certified computers, TVs & other devices to play, transfer the videos, pictures and music stored on your phone.